Commonly used flocculants in water treatment - Xi'an Xinshengtai Water Treatment Technology Co., Ltd. The most widely used simple inorganic flocculants are iron and aluminum metal salts. Mainly ferric chloride, ferrous sulfate and aluminum sulfate. Ferric chloride (Fe: commonly used in the formation of ferric chloride hexahydrate (FeCl3 • 6H20), the precipitation of a good, low-temperature water or low turbidity water treatment is better than aluminum salt, a wide range of suitable pH value, However, the color of treated water is higher than that of aluminum and corrosive. Ferrous sulfate (FeS04•H20) dissociates Fe2+ and produces only the simplest mononuclear complexes, which is not as good as divalent iron salts. Aluminum sulfate (Al2(S04)3) is the most used flocculant in wastewater treatment. It is easy to use and has good flocculation effect. When the water temperature is low, it is difficult to be hydrolyzed and the formed floc is loose. Its effective pH range is narrow. Mingji (Al2(S04)3•K2S04.24H20) has the same mechanism as aluminum sulfate . Inorganic molecular flocculants have a high coagulation effect and low price, and have gradually become the mainstream pharmaceutical agents. The development of such flocculants in China is remarkable. Inorganic polymer flocculants are of cationic type, such as polyaluminum chloride (PACL polyaluminum sulfate (PAS), polyaluminum phosphate (PAP), polyferric sulfate (PFS), polyferric chloride (PFC), polyferric phosphate (PFP), polyferrous and anionic, such as polymeric silicic acid [PS] . 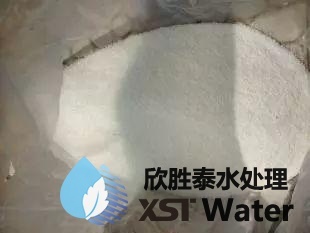 Polyaluminum Chloride (PAC): It can achieve good flocculation effect on various wastewaters, can quickly form large silk flowers, has good precipitation performance, and has a wide range of suitable pH values ​​(pH is between 5 and 9), and After treatment, the pH and alkalinity of the water decrease less. When the water temperature is low, a stable flocculation effect can still be maintained, and its degree of alkalization is higher than other aluminum salts and iron salts, so that the chemical liquid has little effect on the erosion of the equipment. Polymeric Ferric Sulfate (PFS): The formation of the coagulant is fast, dense and of high quality and the sedimentation speed is fast. Especially for low temperature and low turbidity water, it has excellent treatment effect. It is suitable for the pH range of the water (pH is between 4 and 11), and has low corrosion. Experiments show that using poly-iron to purify water can reduce the content of nitrous nitrogen and iron. Therefore, it is an excellent and safe drinking water coagulant, and it has a tendency to replace polyaluminum coagulants that are harmful to the human body. Polyferrous: Reduces high-valent metal ions to low-valent metal ions without acidification. The coagulant has the dual functions of charge neutralization and adsorption bridging in the water body. In common with the active agent, the colloidal substance can be converted into a coagulant, and at the same time, metal ions such as Cu, Zn, and Ni in the waste water are removed, and it becomes an efficient electroplating waste water purifier. 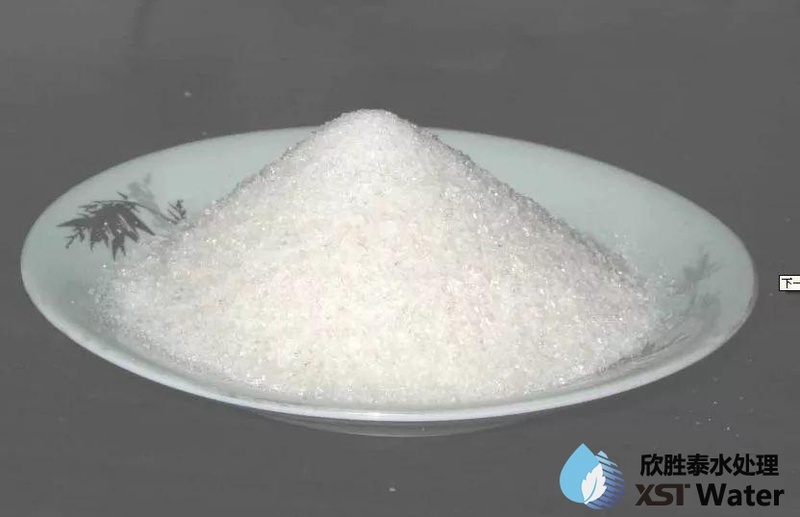 Polyaluminum sulphate (PAS): The turbidity removal effect is significant, and there is a wide range of temperature use and application of raw water. Not only industrial water but also industrial wastewater can be treated. Polymeric aluminum sulfate coagulants have been reported abroad. Polymeric silicic acid (PS): The factors affecting the preparation method, polymerization mechanism, and polymerization degree of polysilicic acid have been studied thoroughly. Studies have found that the difference in pH achieved by neutralization can be used to control the polymerization rate. Polysilicic acid has a strong adhesive aggregation and adsorption bridging. Yang Xiu et al. studied the gelling properties of polysilicic acid and proved that polysilicon is anionic. The biggest drawback of polysilicic acid is that the nature of the product is not stable and it cannot be an independent commodity. The organic polymer coagulant has the advantages of minimum use, high coagulation speed, small influence of salt, pH and temperature, less sludge generation and easy handling, and has broad application prospects. Currently used coagulants are mainly synthetic and natural modification. Polyacrylamide: Among the synthetic organic polymer flocculants, polyacrylamide is the most widely used. Polyacrylamides are nonionic, cationic and anionic. Their molecular weight is between 5-6 million. Due to the presence of a certain amount of residual monomer acrylamide in such flocculants, inevitably toxicity is introduced. High molecular weight (above 106) polyacrylic nano-anionic coagulant, strong coagulation and non-toxic. The polyacrylic acid nanoparticle produces non-ionic adsorption to fine particles suspended in an aqueous medium, so that cross-linking occurs between the particles. It shows more excellent properties for colloidal particles having positive charges such as metal hydroxides. 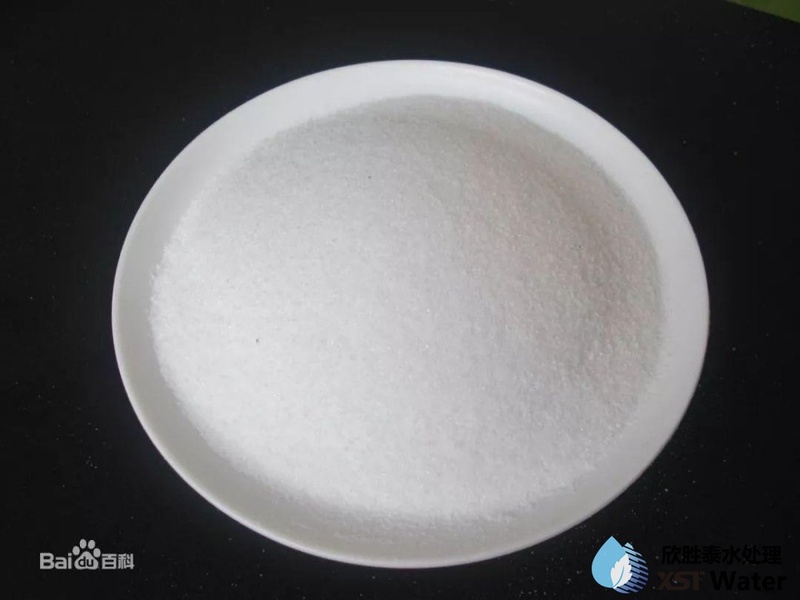 Polydimethyldiallyl ammonium chloride: Cationic polymer compound used in water treatment to obtain better treatment effect than inorganic polymer flocculant and organic polymer coagulant polyacrylamide which are more commonly used at present. Used alone, it can also be combined with inorganic coagulants. Starch Derivatives: Can adsorb negatively charged organic or inorganic suspended materials. In recent years, the research of starch polyacrylamide graft copolymer has made some progress. Chitin Derivatives: Chitosan obtained by molecular modification of chitin is a very good coagulant. Multifunctional treatment agent modified by vegetable gum: Since the 1970s, some synthetic organic polymer processing agents that have multiple functions such as coagulation and corrosion inhibition have been developed overseas. These agents not only have good coagulation performance, but also Inhibition, sterilization and other effects. High-efficiency compound coagulant has only developed in recent years, its development is very rapid, and its variety is more. Its mechanism of action lies in the synergy between ions. Polyaluminum Ferric Chloride: It can be obtained by using coal stone as raw material, and has the characteristics of iron salt and aluminum salt. Within the range of pH 7.O-8.2, it has excellent turbidity removal effect and flocculation performance. In polymer aluminum. Polyaluminum sulphate aluminum sulphate: Made of bauxite or other raw materials, the composition is composed of polynuclear polyaluminum and polyaluminum combined with chloride and sulphate complex inorganic inorganic polymer, with both iron and aluminum coagulant Excellent performance. In some aspects, it has better results than PAC. And its production process is simple, low cost, in the water treatment has a broad application value. Polychlorousulfic acid iron: The use of sulfuric acid/hydrochloric acid mixed acid to dissolve the molten steel slag as the raw material, can be made of polychlorousulfic acid iron sulfate. It has the functions of charge neutralization and adsorption bridging, and it has large flocculation, quick sedimentation, good sludge dewatering performance and no secondary pollution. Polymerization of aluminum ferric sulfate: Using ferrous sulfate as a raw material to react under acidic conditions for 1 hour, compounded polyaluminum sulphate iron with a basicity of 20% or more is obtained, which has good coagulation effect on sewage. Poly-phosphorous aluminum chloride: Poly-phosphate aluminum chloride has stronger adsorption performance than PAC, and the coagulation reaction speed is high, resulting in the advantages of large flowers. Phosphorus ferric chloride: The introduction of appropriate amount of P043-in polyferric chloride can be obtained. Studies have shown that the content of P043- in the polyferric iron has a certain range, and the coagulation effect is decreased beyond this range. Polysilicon Aluminum Chloride: Polysilicon aluminum chloride with excellent properties can be obtained by using polysilicic acid and polyaluminum chloride. Polysilicate aluminum ferrite: Its experimental results reflect the combined effects of neutralization of electricity, adsorption bridging, and precipitation trapping. Adapt to the wide pH range, long storage period (more than 1 month), easy operation, less dosage, good settling performance, wide range of dosage and other advantages. Inorganic compounds can also be combined with organic compounds to form complex type coagulants such as polymeric aluminum/polyacrylamide, polymeric iron/chitin, polymeric aluminum/cationic organic macromolecules, and the like. The comprehensive properties of the compound type high-performance coagulant, such as performance, economy, and secondary pollution, are the best. At present, the hottest coagulation research field is the compound high-performance coagulant. Although organic coagulants are very effective, residues are harmful. For example, acrylamide monomers are very strong carcinogens, and inorganic and complex coagulants also have residual problems. Microbial coagulants are the next generation of coagulants developed in this situation. In China, studies have started since the 1990s and many microorganisms such as Gram-positive bacteria, Gram-negative bacteria, and others such as Agrobacterium, Erbium, and Pseudomonas have been found to produce coagulants. . Among them, Rhodococcus erythropolis is the most potent coagulating agent. This bacterium is most common in dry soils, accounting for about 2% of the settled bioslurgical phase of activated sludge. Pure microorganisms developed from it are used. The coagulant was named NOC-1.